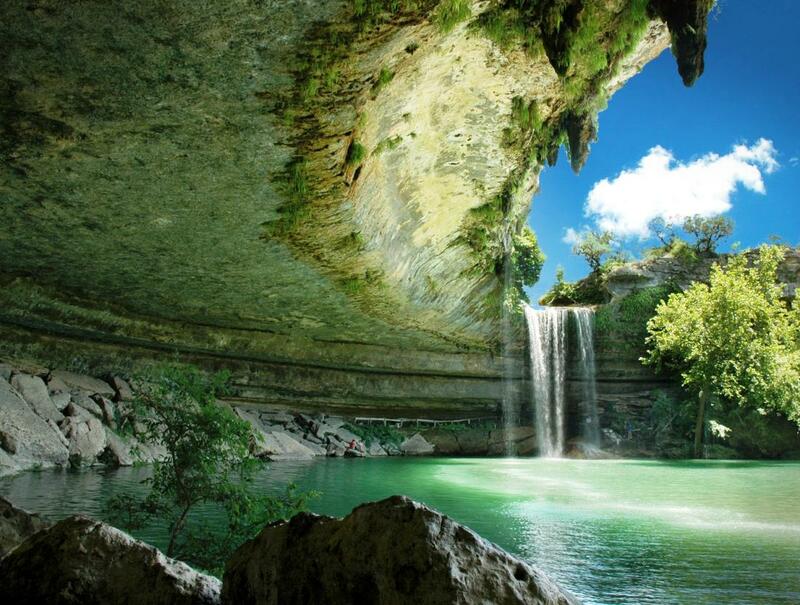 The Hamilton Pool was formed by thousands of years of water erosion that created a natural pool, collapsed grotto and canyon. The pool is surrounded by slabs of limestone that reside by the water’s edge, while large stalactites grow from the ceiling high above. The ceiling and surrounding cliffs of the grotto are home to moss, maidenhair fern and cliff swallows.